Don’t let the silence fool you, EcoSchool, the education arm of mobile network operator Econet is expanding. Currently, this growth has actually been in line with learning content rather than the hardware aspect which birthed the service. 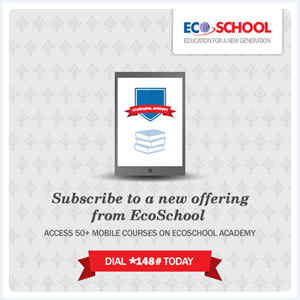 The latest offering is the EcoSchool Academy, which is an online interactive learning platform. It provides a host of courses (over 50 actually) that are optimised for mobile delivery. Right now, there is a free trial that has been extended to users of the services. For the next three days (12th to the 15th of February) all subscribers can enjoy a free trial of the EcoSchool Academy. By dialing *148# and selecting option 2 (Option 1 is for students accessing the EcoSchool facility). After the free trial, the service will set you back 15 cents a day. The content was sourced from Mobile Academy, which is a service provided by Mobitrans. Mobitrans is a mobile learning and entertainment services outfit headquartered in Dubai which offers an integration of such services with mobile networks exploring products that can boost Average Revenue Per User (ARPU). A lot of value for less than $5 a month…so what happens to Econet Zero? There’s a lot of value that’s being brought forward by this service, no doubt. The Academy is presenting a new platform for skills development in fields like languages, personal and professional development, hobbies and academic pursuits. This wide array of course options has to be golden to a lot of young professionals, job seekers and the odd career re-inventor who needs to pick up that one core skill and can afford the $4.50 per month. For Econet the beauty of it all is that it gets to offer a crucial service and boost ARPU in the process. Which means that as a tool that contributes to the bottom line, it won’t be going away anytime soon and we ought to hear more being said about it. So where does this leave Econet Zero? Granted, there are huge differences between the Academy delivery and Econet Zero. But there are some free courses it offers that also fall into categories that are similar to what EcoSchool Academy is now selling at 15 cents a day. Will it be modified or will it continue to run as is, offering a free alternative for anyone keen on e-learning? What are your thoughts on the EcoSchool Academy? USSD based learning? Guys, let’s not kid ourselves, granted they will get some subscribers but they are late into the game. Apps are the future as everyone [addressable market] is getting a smartphone of some kind! Kikkkk. Ndatozvisekawo. You register via USSD and then you get access via an app. It wasn’t clear till I tried it and went through the process. Techzim, don’t be funny…. Econet Zero is virtually non existent… 3/4 of the websites don’t work… Try Coursera or Edx.. Why you being so concerned about it?? Have you ever tried any of those websites.. I have tried most of the websites on Econet Zero, what I have found is that the ones with video content won’t work. But most of the others with just text worked!